The technological difference between a bicycle from 1980 and today is the equivalent of an alien ship arriving to Earth in a Sci-fi thriller. Even over the past several years, the design of bicycles has drastically changed. The evolution of the bicycle is built upon innovators spending countless hours drafting, designing, tinkering, and testing. These days we refer to the countless hours spent redefining the bicycle, simply as R&D. From 2001 to 2009, the number of trips made by bicycles in the U.S. more than doubled from 1.7 billion to 4 billion. This growth is largely attributed to a wave of research and development, which fuels an endless stream of new products and constant improvements to existing products. Bicycle manufacturers are in an arms race of innovation to develop a better bike, a bike that will win the hearts and minds of their competitors’ customers and ultimately convert those customers. The best part about this arms race is that through the Federal Research and Development Tax Credit, bicycle manufacturers can recoup some of the costs of developing their armaments of innovation. It can be a bit overwhelming when an individual steps into their local bike shop and gazes at all the gleaming bikes on the display floor. There is a bike specifically designed for every application imaginable. There are mountain bikes, road bikes, hybrids, performance hybrids, comfort bikes, fat tire bikes, 29ers, downhill bikes, and the list goes on. Each of these bikes has been engineered to excel at a particular task. Hybrids are designed to be comfortable for the everyday rider, the kind of person that just wants to get on a bike and have fun. The geometries of a hybrid frame and stem configuration ensure that the rider is sitting upright, and most of all, comfortable. Performance hybrids, on the other hand, have different frame geometries that allow for a more aggressive and faster ride. The geometries of a performance hybrid force the rider to lean for¬ward, which results in less drag. On a regular hybrid, the rider is sitting up straight acting as a giant sail of air resistance. On a performance hybrid, this sail of air resistance is reduced because the rider is leaning forward which exposes less of the rider's surface area. Performance hybrids also have other features like narrower tires, which allow for higher speeds. The geometries of a road bike are even more extreme than that of a performance hybrid. The rider is completely bent over the bicycle for maximum aerodynamic efficiency. The stem and handlebars are lowered to increase aerodynamics. 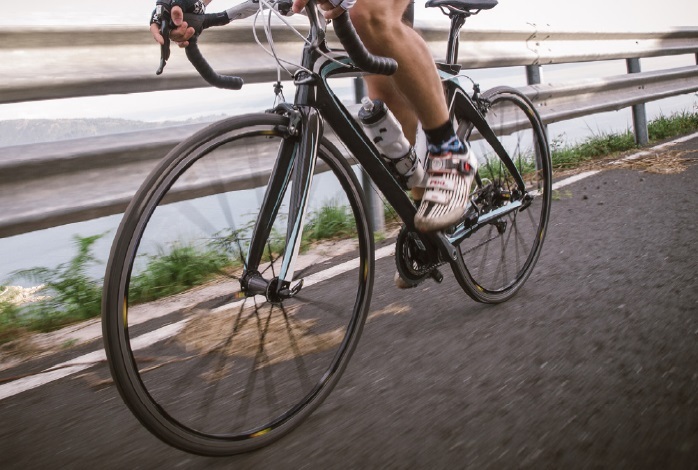 Road bikes allow riders to attain great speeds but are very demanding on the body and may not be for those who are not acclimated to the rigors of road biking. Every bicycle that is engineered for a particular application has undergone an extensive design and development process. Mechanical engineers and material specialists have painstakingly analyzed every aspect of the bike and modified the design countless of times using CAD software. Some of these modifications of the design are to increase the performance of the bike, while other modifications are to make the bicycle easier to manufacture or more economical to produce. After the challenging design process, prototype bicycles undergo a litany of safety as well as performance testing. Everything in the development of new bicycles, from design to testing is potentially an R&D tax credit eligible activity. Besides the intended application of a bicycle, the next aspect that sets two bicycles apart is the material that comprises the frames. The most common frame materials are steel, aluminum, carbon, and titanium. Each of these materials have its merits. Steel frames are not as common as they use to be, but they are still being manufactured. Steel is strong and provides a lively feel, but most people tend to lean towards lighter aluminum designs. Aluminum is the most common frame material. However, due to aluminum’s low density, it requires larger tube diameters than steel to achieve structural stability. One consequence of a larger tube diameter is what many people may deem as a harsher ride. This is why many people seek out titanium or carbon bicycles. Titanium is durable, lightweight and provides a happy medium of stiffness. Titanium is also nonferrous, making it very corrosion resistant. Another important aspect of titanium is that it can be manufactured to achieve the required stiffness to accommodate larger riders. It isn’t uncommon to see a larger than life rider sit on an aluminum frame with a concerned look on their face as they listen to an aluminum frame creek and moan underneath their weight. Titanium frames can help prevent these kind scenarios from occurring. These days the material of choice for competitive riders is carbon4 fiber composite. Carbon fiber composite is comprised of non-metallic graphite fiber cloth that is layered together with high strength epoxy resin to form a matrix. The key to carbon fiber frame design is the placement of different grades carbon as well as the volume of carbon within strategic areas of the frame. What makes carbon fiber frames so desirable is that the structure of the carbon fiber matrixes can vary throughout the fame. This variance allows for enhanced performance. Different areas of the frame can be enhanced for stiffness, which allows for the maximum transfer of energy from the rider to the crank. Anytime the frame of a bicycle flexes, power is lost. While some areas of carbon frames should be as stiff as possible, other areas can be optimized for compliance, which results in a smoother ride that allows the rider to travel longer distances. When it comes to bicycle frame design, companies lie at all points of the capabilities spectrum. Companies like Pure Cycles, based out of California, that specialize in the manufacturing of simplistic steel bicycles, still spend a significant amount of time designing each new model. Even though Pure Cycles works with steel, which may not be the most technically advanced material, they are still engaged in R&D activities. The development of their bicycles requires mechanical engineering and industrial engineering expertise. 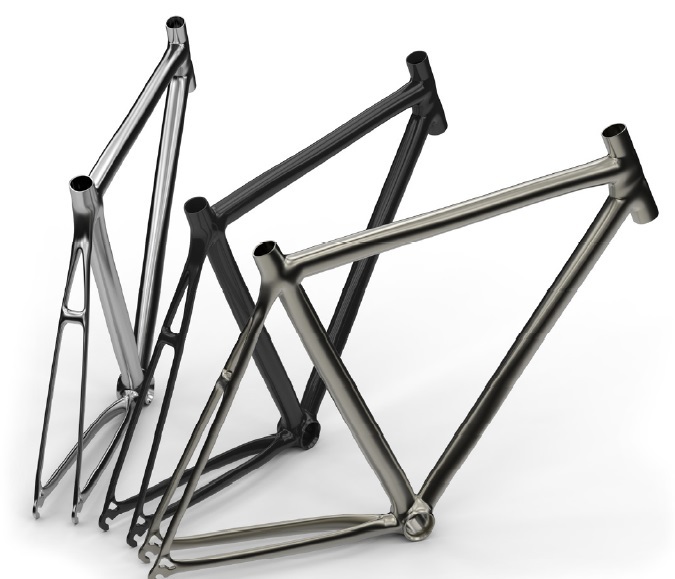 Pure Cycles most likely uses CAD software to model how their frames will handle under various forces. When designing a new bicycle, for the most part, companies do not know what the end design of the bike will be; that is the reason why companies embark on the design process to begin with. This uncertainty before engaging in the development of a project is key to R&D Tax Credit eligibility. Any bicycle manufacturer that designs frames should pursue the R&D Tax Credit. A customer walks into bicycle shop and makes their way to the road bike section. They notice that there is long aisle of carbon road bikes. How do they know that they are looking at carbon? Well, the high price tag and the sleek construction of the bikes is undoubtedly a first indication. Also, there are no welds to be found. Carbon fiber composite bicycles are significantly more expensive than their metallic counterparts for a variety of reasons. First off, there are few companies that are capable of manufacturing raw carbon fiber due to the high capital investment required in equipment and technical expertise. Secondly, the design of carbon fiber composite bicycles requires highly sophisticated and expensive software. Then there is the cost of hiring people with advanced degrees to use the software. Finally, all carbon frames are handmade. With these factors in mind, a customer may still wonder what the difference is between a $1,500 carbon bike and a $9,000 carbon bike. Carbon fiber can come in many different forms and stiffnesses. Carbon fiber is rated in terms of tensile modulus, which is essentially how stiff the carbon fiber is. There are four levels of carbon fiber: standard modulus, intermediate modulus, high modulus, and ultra high modulus. Carbon with a high modulus rating takes additional processing to remove impurities. High-end bicycles will use stiffer carbon in their design with the goal of producing a bicycle that is highly efficient at transferring rider energy into forward motion, and this is why high carbon bikes can get so expensive. High-end carbon composite bicycles are made with multiple levels of carbon that are strategically placed throughout the frame to create a frame with the optimal mix of durability, performance, and ride quality. The use of sophisticated CAD software is essential to determine the optimal rigidity and lightness of carbon bicycles. Designers must determine the kind carbon to use, where that carbon should go, the dimensions of the carbon and the orientation of the carbon ply. The development process of carbon fiber composite bicycles is sophisticated and is more costly than bicycles compromised from metal. Since carbon bicycles are built by hand, the R&D process for companies large and small is similar. Skilled craftsmen make each prototype by hand and then the prototypes must be tested using a wide range of sensors and tools for structural integrity and performance. Specialized, one of the biggest names in the industry, even has its own wind tunnel which they use to test the aerodynamic performance of their bicycles. Companies that are engaged in the development of carbon fiber composite bicycles are engaged in R&D eligible activities. Technical labor hours spent designing, building, and testing prototypes can be applied to the credit. The R&D Tax Credit also allows for materials consumed during the development process of new products as well as the improvement of existing products to be applied to the credit. This means the cost of expensive materials such as carbon fiber can be offset. In recent years, there has been a major push toward electronic shifting. Electronic shifting has been around for years but until recently, the technology has not had a strong foothold in the cycling community. Companies like Shimano, Campagnolo, and Chicago-based SRAM are leading the vanguard in the technological advancement of electronic shifting. Some benefits of electronic shifting are a sleeker bike appearance, excellent shift quality, and requiring less skill. Additionally, road grime does not gunk up cables and degrade shift quality over time. Electronic shifting groupings are also becoming lighter than their mechanical counterparts. SRAM’s new electronic grouping, Red eTap increases the scope of electronic shifting by turning a bicycle into a micro network. The Red eTap system has taken SRAM over five years to develop. The system is both electronic and wireless. Electronic shifting is still in its infancy, and it provides a great opportunity for the R&D tax credit. Currently, electronic shifting is constrained to a handful of drive trains. The development of new shifting systems that are designed to electronically shift drives trains with different numbers of gears is credit eligible. Another R&D opportunity is the development of firmware that allows for the adjusting the number of drivetrain speeds. Any company developing ways to reduce lag time of electronic signaling, cutting power to improve battery life, or enhancing the way electronic shifting components interact with water can apply for the R&D Tax credit. Every year across the U.S over 10,000 bicycle mechanics open up bike boxes and pull out the necessary components to build the most efficient mode of transportation on the planet. Accordingly, every year the bike’s feature design distinctly changes. Even the packaging that the bicycles come in changes from year to year. Usually, the packaging is upgraded to protect the bicycle during shipping. A bike store manager once said to a disgruntled custom¬er, “Every bike is going to have some kind of blemish on it. You would have scratches on you too, if I shipped you in a box from China." Manufacturers routinely make modifications to the design of bicycles for a variety of reasons. Some modifications entail the integration of new hardware that makes the build process for the mechanics more efficient while other changes are clearly designed to reduce the cost of the bicycle, even if increases the time required to build the bicycle. Frequently the geometries of frames are altered to set the current year’s model apart from last year’s model and to give customers a reason to upgrade. The shifting, breaking, and drive train components of bicycles also change from year to year. Often the changes made to a particular model is part of a grand experiment. This experiment relies on a dialog between customers, bicycle mechanics, sales people, and the sales representatives of the manufacturer. Sales reps routinely come into bike shops to inform mechanics and sales people about the new features and technologies that will be incorporated into next year’s model, while simultaneously asking what people think about the current models. When manufacturers are determining what changes to make to a model, this dialog can be a treasure trove of information. The yearly modification and alteration to the design of current bicycles models is an R&D Tax Credit eligible activity. Manufacturers who change the design of their bicycles to increase performance, quality or to reduce the cost of manufacturing can and should apply for the R&D Tax Credit on a yearly basis. Even design improvements made to packaging is a credit eligible activity. In the mountain bike community, there has been a major debate of what is the most efficient wheel size is. Many enthusiasts believe that one particular wheel size can be universally better than another wheel size, but this is not the case. Different wheel sizes are optimal for different applications as well as rider sizes and riding styles. When it comes to cross country mountain biking and the need for speed, the larger the bicycle wheel, the better. Titans of the bicycle industry like TREK, Specialized, and Giant have all utilized advanced software and testing equipment to prove this. Bicycles with 29-inch wheels are faster than 27.5-inch wheels, but smaller riders should ride the 27.5-inch wheel. When a small rider sits on a 29er, their body geometry is thrown off, which leads to a decrease in efficiency and therefore speed. When it comes to trail bikes, wheel size is more dependent on riding style. A trail rider who wants stability and the confidence to roll over obstacles should go with at 29er. A rider who wants to defy the Earth’s gravity and hit the jumps should go with a 27.5. 27.5-inch wheels are still relatively new to the cycling industry, so many manufacturers are currently engaged in developing their own version of a 27.5-inch mountain bicycle. Companies looking to expand their product offerings through the development of bicycles of different wheel sizes can use the R&D Tax Credit to mitigate the cost of development. The Wall Street Journal reports that sales of all-terrain “fat tire” bicycles has increased by a factor of six between 2013 and 2015. Fat tire bikes are a game changer for the off-road bicycle world. Fat tire bicycles look beefy and aggressive, but they also have extreme utility. Fat tire bikes are not as ubiquitous as conventional mountain bikes but when they are seen on the trail its usually only for a matter of seconds. Before a fat tire sighting, trail riders will most likely hear “Excuse me. Coming through!” This is right before the fat tire bike passes by, traversing roots and any other obstacle in its path. The larger tires on a fat tire bicycle allow for superior roll over ability. This ability to roll over any obstacle with ease enables seasoned riders to push the limits of the trail. The increased stability of fat tire bicycles has also enabled less skilled riders to venture onto mountain bike trails. Another reason for the growing demand for fat tire bicycles is their unique ability to transverse snow and sand. When fat tire bikes first came on to the scene, there were some problems with the bikes. Because the tires of a fat tire bike are so wide, the rear cassette is displaced from where it would normally sit on the bicycle. During certain gear settings, this displacement created an extreme angle between the rear gears of the cassette and the forward gears of the crank. The extreme angle caused the chain to bind and run roughly. Even though this is an undesirable issue, it creates a perfect opportunity for the R&D Tax Credit. The development work to resolve this issue and other issues like it are R&D Tax Credit eligible. Fat tire bikes are a relatively new phenomenon and like any emerging technology, there are plenty of opportunities to optimize and enhance the original design. Manufacturers are currently focused on enhancing the design of fat tire bikes through the improvement of the suspension systems, weight reduction, and the integration of eclectic assist motors. The developments of new fat tire bike models and the improvement of existing models are R&D Tax credit eligible activities. In the United States, close to 40 million Americans actively mountain bike. Manufactures have ramped up their R&D efforts in mountain bike technologies to develop a better mountain bike and to increase their market share. Every aspect of the mountain bike is being leveraged for maximum performance. Designers are using physics and mechanical engineering principles to enhance frame geometries, suspension responsiveness, and brake stopping power. Industry leader Trek is teaming up with outside professionals such as Penske Racing Shocks, a company that specializes in the manufacturing high-performance shocks for the car racing industry. Bicycle manufacturers are striving to develop shocks that offer the ultimate performance in climbing and shock dampening. This is a challenging endeavor because the forces that are exerted on a bike during a climb and during a big impact vary vastly. When climbing it is imperative for the back wheel to remain in contact with the ground at all times. This means that the suspension should be as stiff as possible so that each pedal stroke can propel the rider forward. Conversely, the rider can experience a reduction in speed if the suspension system does not adequately react to impacts of varying magnitudes. For example, if a rider hits a bump or a root on a climb and the suspension overreacts, the back wheel will slip, which will lead to a loss in stability. There has never truly been a shock that has provided efficient pedaling while simultaneously being able to absorb the impact of instantaneous impacts. Shock absorption systems usually excel at only one of these tasks. Trek is now using new regressive damping technology to provide platform efficiency while pedaling and to absorb the impact from instantaneous shocks. Any company that is enhancing the design of their mountain bikes to increase performance can apply for the R&D Tax Credit. Improvements to the mechanical design of the suspension system, the design of the frame-and-its linkage systems, and any other design improvements are R&D Tax Credit eligible activities. This means that smaller companies that do not have the resources to invest in the design of suspension components can still claim the credit. Small-scale bicycle manufacturers are engaged in R&D activities when they design their mountain bikes to accept suspension systems developed by third parties. Furthermore, the R&D Tax Credit enables firms to apply R&D contractor expenses to the credit. For example, Trek could potently apply contractor expenses from their work with Penske Racing Shocks during the development of the RE:aktiv system to their R&D Tax Credit. Cycling is quickly gaining traction and becoming a more popular mode of transportation. The amount of bike lanes that are springing up throughout the U.S. is a testament to this. People are integrating bicycles into their lives. Cycling is no longer just a means within itself. People are riding bikes to get to work, to pick up groceries, and to get to wherever point B is. The only problem is that not everybody lives within reasonable distance to his or her place of employment, and they do not want to be dripping with sweat when they arrive there. A trip to the local grocery store is not an arduous journey, but riding back home up a grade with panniers overflowing with groceries can be breathtaking and not in a good way. It's scenarios like these that are turning people to electric assist bikes. Bicycle manufacturers can expect electric bike sales to increase as the 74.9 million baby boomers begin to age and require a little extra juice to keep them riding. Contemporary electric assist bikes are a far cry from their predecessors. They look sleek, enjoy longer distances between rides, and are lighter than previous models. Significant improvements to electric assist bicycle design can be seen every year. Manufacturers that continue to improve the design of electric assist bikes are engaging in R&D Tax Credit eligible activities and should use the credit to offset development costs. The bicycle industry is teeming with innovation. This innovation stems from the R&D efforts of the bicycle manufacturers that supply bike shops with a never-ending stream of products. Essentially, every bicycle manufacturers is engaged in R&D Tax Credit eligible activities. This means both large scale and small scale manufacturers should claim the credit. Even if the manufacturer is not developing state-of-the-art carbon frames or pushing the boundaries of efficiency, they should still apply for the R&D Tax credit. As long as a manufacturer is uncertain about exact design of the bicycle they are developing, which is usually the case, the manufacturer is most likely engaging in multiple R&D Tax Credit eligible activities. The cost of technical labor hours, testing, materials used up during the development of prototypes, and even R&D contractor expenses can be utilized to obtain a sizable tax credit. New provisions in the law allow startups which are not yet showing a profit to claim the credit. This means any bicycle manufacturer can apply for the credit and offset the cost of their R&D activities.